Nike is slowly starting to roll out some of their Summer colorways of popular models. 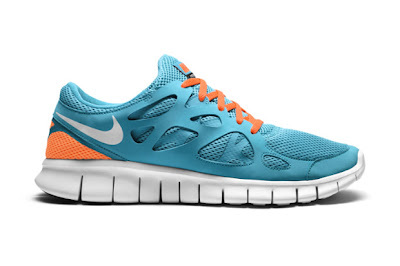 Included in the latest round of leaks, attached is the Nike Free Run 2 model, in a Miami-esque Teal and Orange combo. Looking forward to seeing more summer colorways of other models. Great running shoe - but stylish enough to wear around in the Summer sun.